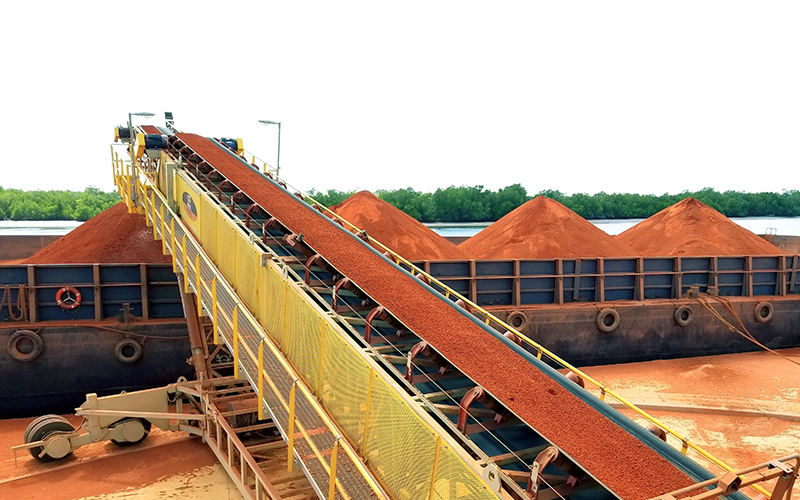 Portable ship and barge loading technology needs flexibility to serve a variety of vessels, mobility to move throughout the port and designs to handle a variety of materials. 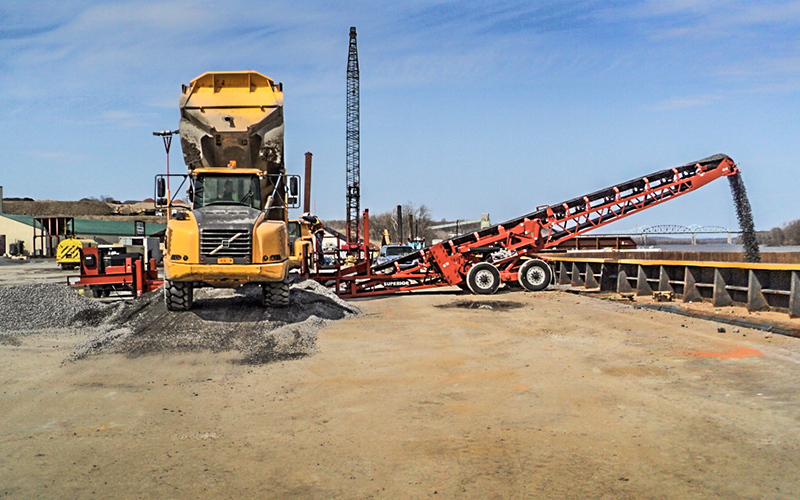 Our versatile equipment meets these needs in a single machine. 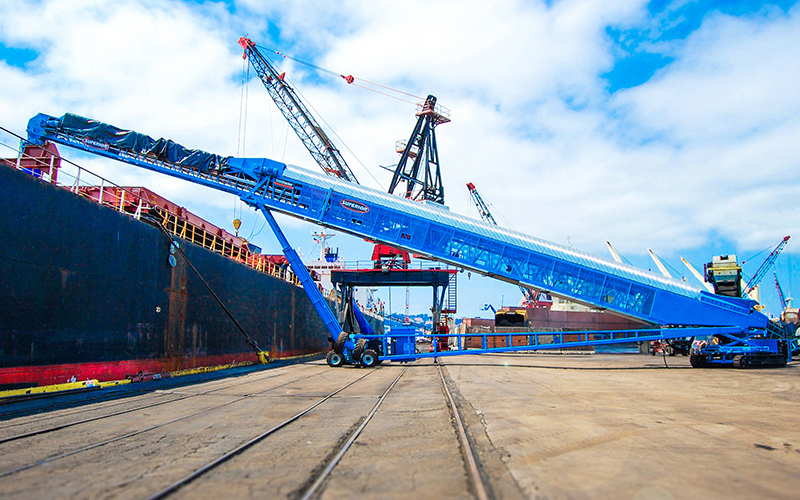 Opposite of costly stationary ship loading systems, custom-configured mobile conveyors deliver lower capital investment, short lead times, quick assembly and mobility on a small footprint. 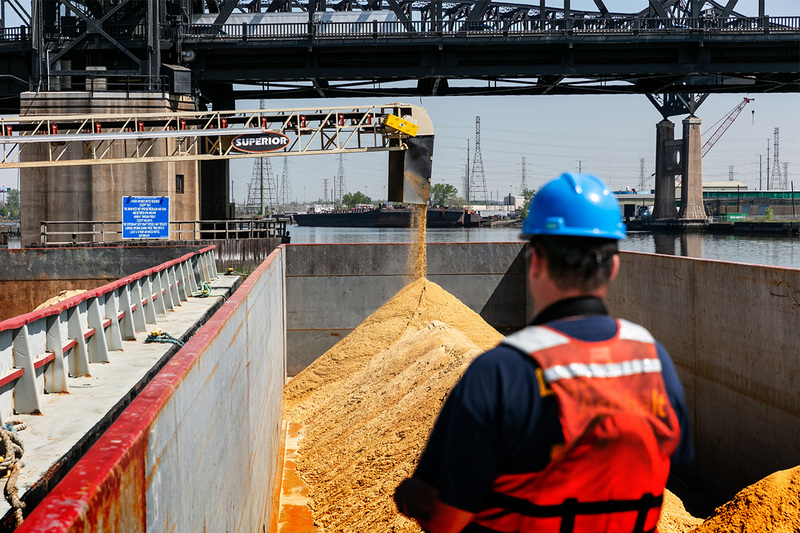 Continuously feed multiple hatches or barges from the same feedpoint without relocating equipment. 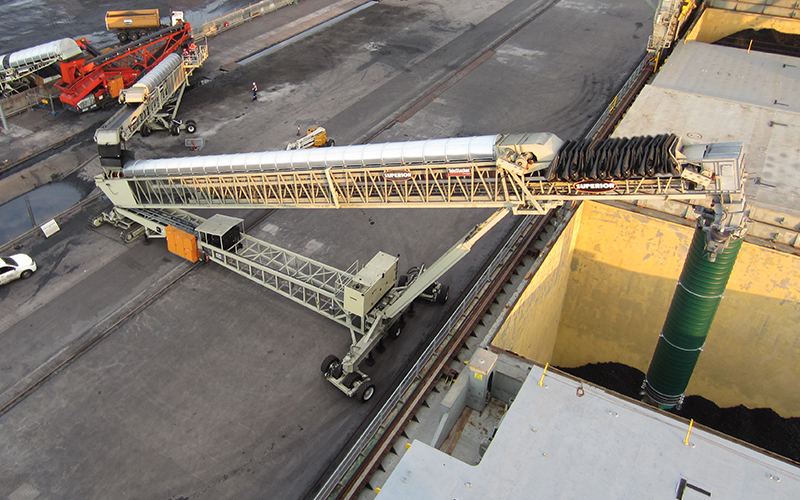 Telescopic conveyors achieve 45% more extension than some competitive conveyors. Machinery designed to move inline, transversely and radially for fast and efficient conveyor relocation. 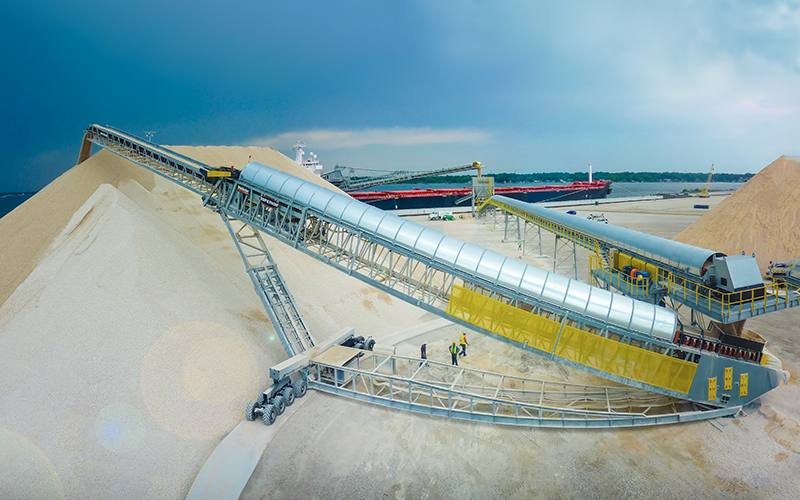 Multifunctional conveyors perform load, unload and stockpile tasks in a single machine. 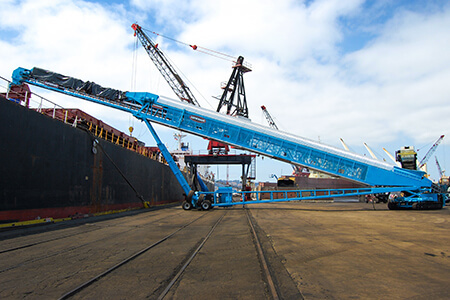 TeleStacker® Conveyor allows handlers to maintain spec of material from ship to stockpile. 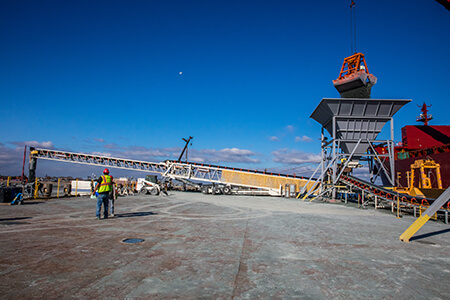 Highest capacity portable telescopic radial stacking conveyors on the planet. We’ve got dozens of other applications and customer testimonials to share with you and we’re always excited to explore custom designs. So if you’re ready to learn more, please contact us today! 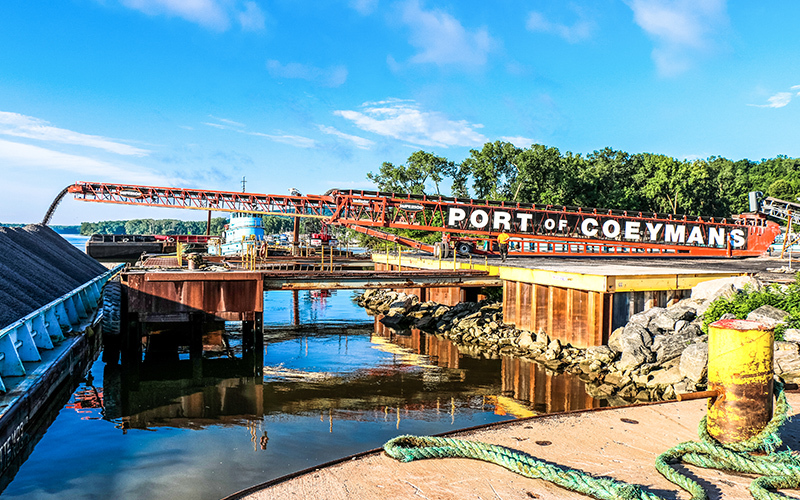 Since the Levin-Richmond Terminal doesn’t own their dock, one of their requirements was portability. 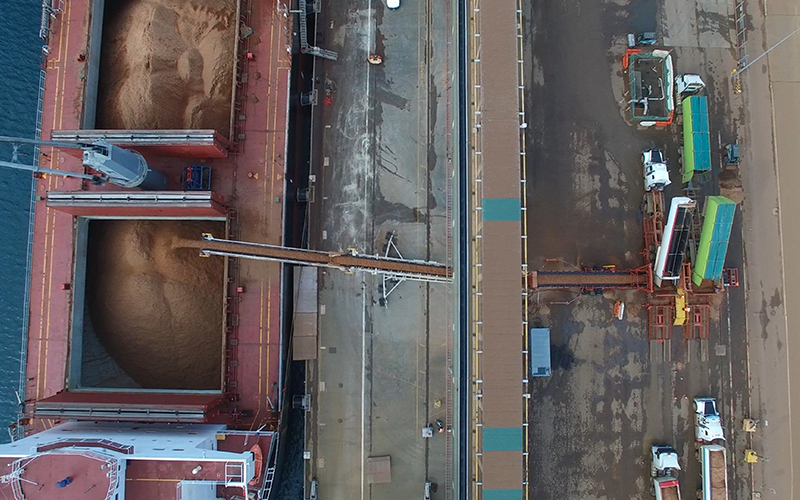 It is crucial that they’re able to quickly move the ship loader on and off the dock. 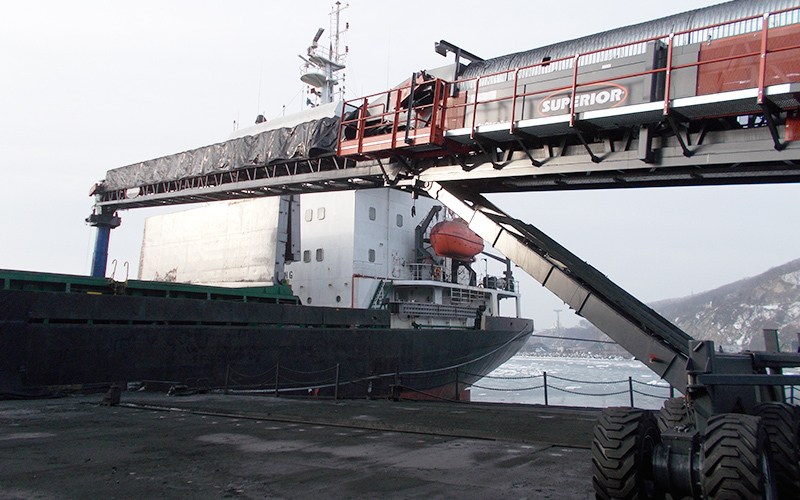 In addition, they wanted to use the unit as a stacking conveyor when the terminal was without a ship to load. 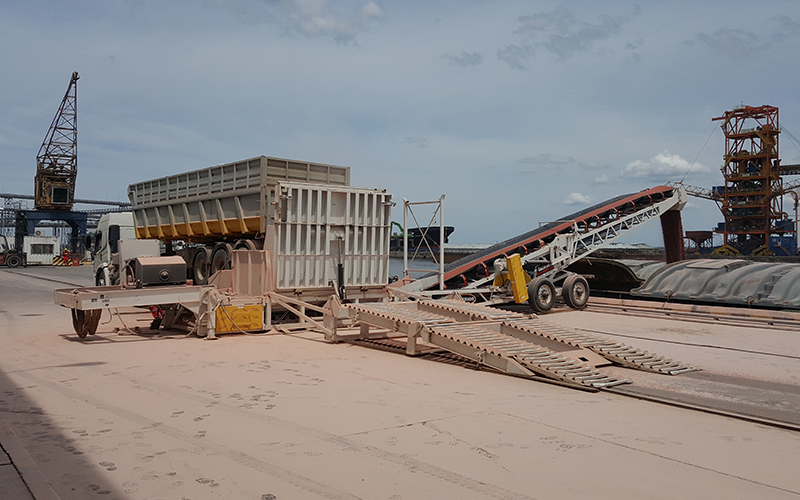 To optimize flow within a tight configuration, Gotham Aggregates’ goal was a facility that meets several requirements: accepting and unloading a desired number of truckloads per day; loading two barges simultaneously and maximizing load volumes while ensuring safety and stability. 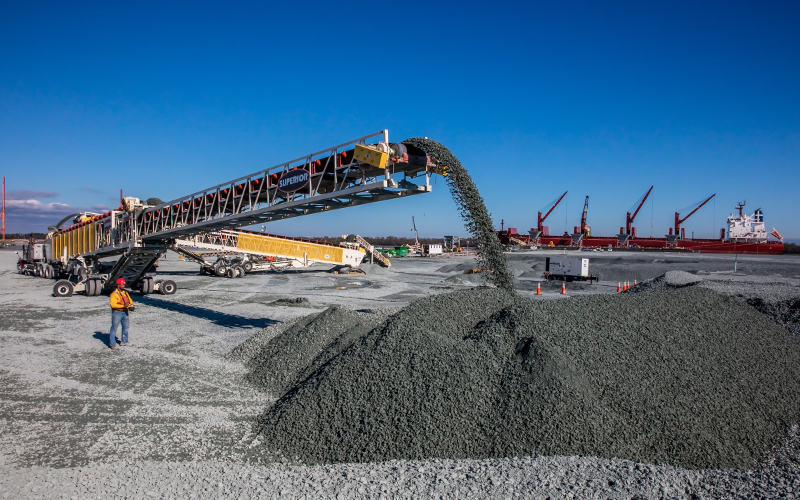 Instead of trucks, 70,000 tons of crushed stone is shipped each week to the South Carolina Port Authorities new container terminal. 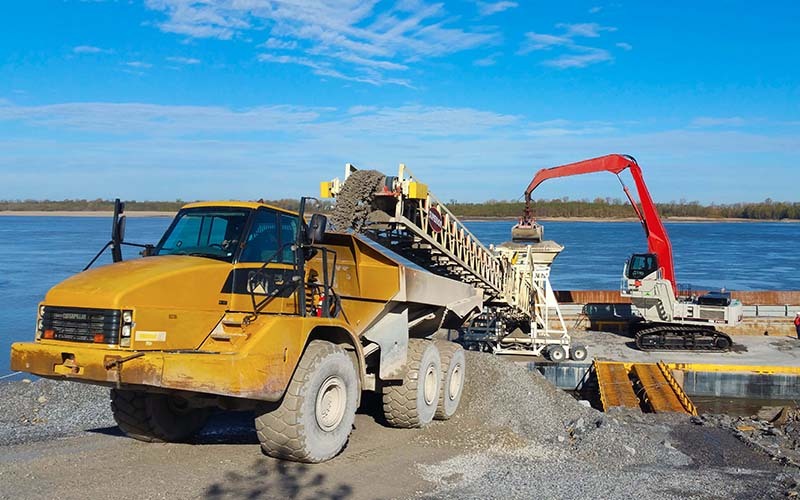 Carver Companies handles the unloading of the aggregate from the vessels; while also conveying the material, and placing it in short lifts within a large containment area.